I’ve seen those words written so many times that I’ve lost count. SEO is not dead, far from it in fact. Then there are the comments flying round about how social media and content marketing are the new SEO. The truth is that these are all just marketing channels that should sit within a strategic marketing plan. They are a means to an end, a way of achieving your business goals. In this post we’ll talk through why forgetting SEO may just be the biggest mistake you ever make, how to make organic search work, how content marketing fits in and where things are headed. Unless you’ve been living in a tree in Borneo you may have noticed that Google has been trying to make things more difficult for SEO’s for a long time. It makes sense because their business depends on the accuracy of their results doesn’t it? Much of the time all SEO does is to manipulate their precious search results to suit those with the biggest budgets, SEO savvy brains or both – and Google doesn’t like that one bit. But the important thing is this isn’t 2004 anymore and much has changed. If you keep using the same tactics that you did back then, you won’t get very far. Actually the reality is somewhat more devastating because the consequences of getting things wrong are huge. A well monetised site getting torched can mean we are talking about having to let go of staff and even businesses closing. You don’t want this to happen right? So you need to adapt and this where content marketing joins the party. Over the years I’ve seen a large number SEO agencies transition into content marketing agencies, I’ve even been part of the same transition. It’s a logical transition. There are transferrable skills and a metric driven mind-set that works well. The thing to remember is that the transition does involve acquiring new skills, but shouldn’t we always be acquiring new skills? Change is always going to happen. The key is to develop enough understanding that you can see it coming and you can react in time. The link building service offered by UK Linkology evolves all the time because the alternative is to get screwed by the inevitable algorithm changes. I have always had a passion for SEO, but it’s more the excitement of figuring out what works that first appealed to me. For a while now, SEO has involved having a metric driven mind-set, technical understanding, PR focused skills and plenty more (and that still counts a lot but there’s more to it now). But for me, one of the most valuable skills that SEO’s (Well, white hat SEO’s) can bring to the content marketing table is the ability to stop people from making dangerous mistakes. The reality is that without that skill, you will probably end up with egg on your face. Not understanding how SEO works right now can be dangerous. As well as SEO agencies transitioning into content marketing, I’ve noticed a lot of other agencies like PR, print and social media focused agencies start to offer SEO services. That’s all good; there have been plenty of great agencies who have made the transition but you still need the knowledge that SEO’s bring. Virtually everything that gets published online gets picked up by Google so maximising that pick up and increasing the subsequent visibility through well executed tactics like blogger outreach is a must have skillset . The truth is that we still need SEO and without that knowledge, businesses are at risk because people can be quick to recommend a course of action that may have serious implications on your organic search efforts. And this goes beyond agencies. Plenty of people who don’t come from an SEO background seem to feel like they’re qualified to give SEO advice. There’s a marketing tool I’ve been using lately, I contacted their support with a technical SEO related query. The response I received was along the lines of “no the platform doesn’t do what you want, but why would you want it to do that? It won’t have any impact on your rankings”. The truth is that it would and I know that from experience. If I didn’t come from an SEO background I would have believed it and seriously hurt my business. I hear stories like this every week form friends in the business and others who should know better and it’s a concern. So if SEO doesn’t have the midas touch it once had then what is the fast track to search engine alchemy? 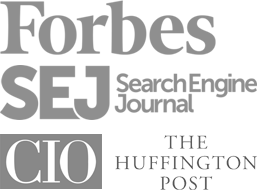 Far too many people have raved about content marketing being the new SEO. And then there are those saying “forget SEO, you need to be doing content marketing” like they are totally exclusive. SEO in relation to content marketing is a treatment; something you apply to your content and content distribution. Yes, there are aspects of SEO such as indexation and certain types of link building that are more technically focused and have little to do with content but they are the exception rather than the norm. SEO, PR, social media and content marketing are all pieces of the same puzzle. And to drive growth for your business you need to realize that fact and get the right mix. The reality is that SEO can work and it can work well if you know what you are doing. If you play fast and loose with outdated tactics you run the risk of vanishing from Google’s index. SEO shouldn’t exist in isolation and neither should content marketing. They are tactics designed to do one thing. Relying on a single marketing channel is a huge mistake. And the same can be said for putting social, SEO and content marketing in their own little boxes. That stuff just doesn’t work. And while I do see these tactics as different things, they have to work together. After all, they are all driving you towards the same goal aren’t they? So treat them as part of the same strategy and use each one to help you accomplish your goals. Allow them to work in harmony with each other and you will be so glad that you did. Certain marketing tactics work against each other in certain circumstances. To illustrate my point, think about social media and email. There’s a crazy amount of hype around social media, despite how it’s getting more and more difficult to reach your followers just like with the decline in Facebook’s organic reach. And one thing that seems to be common place is the advice to use the likes of Twitter widgets on your blog. Ok, so it makes sense. Get more likes or followers by adding a widget to your blog. Sounds ok right? The whole point of using social media is to get traffic to your website not send it away. Sure, someone might follow us but social networks are distracting places. And it’s difficult to reach people once they’ve started following us. I always prioritize the building of an email list over the building of a social media following purely because it’s so much more effective at reaching our followers. It’s personal, it’s immediate and the ROI is huge. I put email above social because email gets me better results, but when I display Twitter widgets it just causes people to get distracted. So that aspect of social ended up hindering the development of another tactic. In the end I removed the Twitter widget and used social icons instead. I put them in my blog’s footer so they were still accessible. This ensured that focus was where it needed to be. Earlier I mentioned about using each marketing tactic in harmony with another. Understand the tactics that are most important and prioritize them accordingly. If any are hindering a tactic that’s more important, do something about it. They say that “content is king” but that’s not true. Lee Odden probably said it best; “content isn’t king, it’s the kingdom”. The truth is that creating content is just the beginning; it’s what you do afterwards that matters.